The emotional content from within. While Vincent Van Gogh's Irises bring out a variety of ingenious techniques, the emotional content from within is obviously solemn. 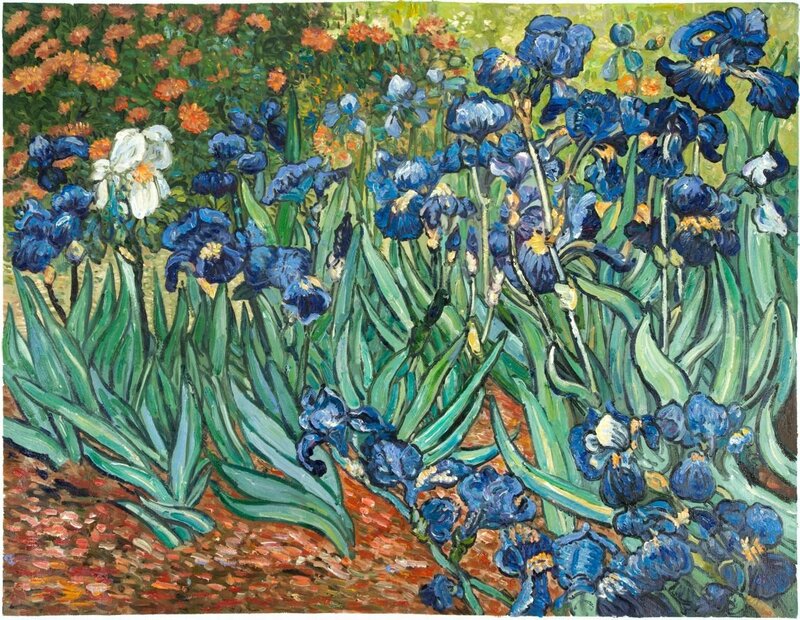 After entering an asylum in Saint-Rémy, France, Mr. Van Gogh chose to work on these Irises within the first week of his stay. Vincent Van Gogh created this drowning with sorrow painting from the asylum's garden. This creation is not a cry of emphatic pain. Yet, an inner disappointment seems to enrapture this wonderful man. How could it not? A bright and shining enthusiasm from the genius was dashed by people who could not see his wonderful vision. This ability to create beauty for others would have worked if he were surrounded by likeminded, enthusiastic personalities. Sadly, in this world, there never seems to be enough kind people around for such incredible people. Being at peace in the asylum. Being able to create in peace at the asylum kept Mr. Van Gogh from drowning in loneliness. As time passed, he was slowly able to work on his technique without constant distraction. Interesting enough that the other patients and staff did not interfere with this creative genius. Yet, in the so-called "normal" world, his artistic life was met with constant pain and disturbance. Vincent was able to paint almost 130 creations in the asylum. Inspired by Japanese Art, Vincent Van Gogh was able to blend in his inner emotional disappointment with some hopeful colors around the painting. How could it be that Mr. Van Gogh would only bring out a sad atmosphere? That is not our wonderful Vincent. He always finds an ability to show us, somewhere, that there will be hope within a sad and depressed state. This is what completely sets this genius apart from so many. A person has the strength to pass through the bad and bring beauty to the world.